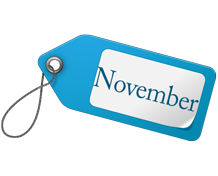 We’re excited to welcome November by offering you those promotions from Royal Collagen, Corbicula Extract Ball, Reishi Extract Ball, Eye Clear, Diet Meta Plum to consider for the period 1 – 30 Nov 2015. We’re excited to welcome October by offering you those promotions from 3 brands Royal Collagen, Corbicula, Madam Lynn to consider for the period 1 – 31 Oct 2015. We’re excited to welcome September by offering you those promotions from 3 brands Royal Placenta, Royal Collagen, Eye Clear to consider for the period 1 – 30 Sep 2015.